There are times when we need to remove a black border around a video so that we can enhance our video story and draw our viewers’ attention to the most important information that we intend to convey. In this article, we will introduce two best MP4 croppers for Mac you can use to eliminate the black edges. Wondershare Filmora for Mac remains one of the best tools out there for average Mac users and the best part is that, specially designed for armatures who do not have much experiences when it comes to edit videos, this program is rather easy to use and comes with not only all the basic editing operations a beginner might need, but also a handful of cool advanced functions, which can only be found in expensive high-end video editing packages. It is designed with simplicity in mind and thus the whole program offers an easy drag and drop experience, making it possible for all users to master cropping skills within minutes. Check out this video below to get a full picture of the most widely used video cropper. The following guide will teach you how to crop video by using Wondershare with ease. Drag your target file to the editing region below, and then find the cropping icon from the editing toolkit right above the video track. In the editing window, you will find 3 options to crop the file. You can either do it manually by adjusting the rectangle to locate your wanted area, or do it in an easy way to automatically crop your video by either choosing the 16:9 wide-screen ratio, or 4:3 standard view ratio. When done, click “OK”. After successfully cropped your video, you can do some other editing work, like adding a fade—in fade-out effect, or some transitions etc. to polish your video. When finished, hit the export icon to save. Video cropping can be a real challenge especially for those who have little skills and without much budget. If you are already out of pocket from buying an expensive Mac computer, then you will probably want to look for some freeware to do the work. 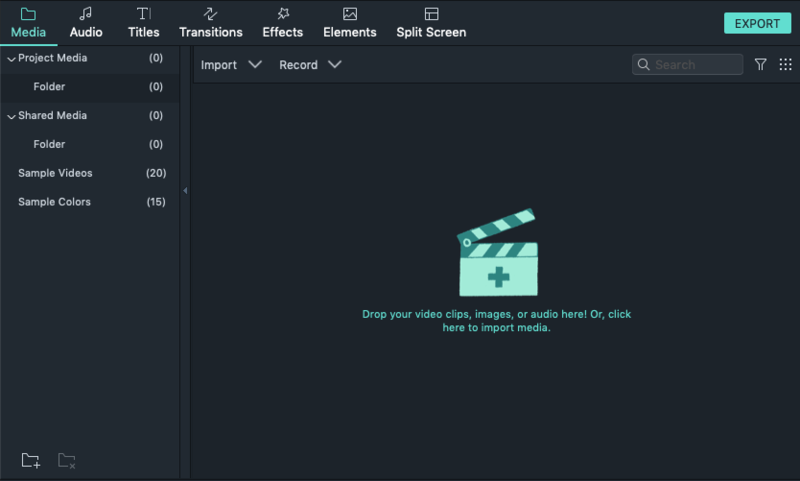 As a basic video editor comes with every Mac, iMoive is definitely capable for small projects like cropping a video and thus becomes one of the best choices. Cons are that iMovie only supports selected video formats, therefore for certain formats that aren’t compatible with iMovie, you will have to give up this option and try some others out.